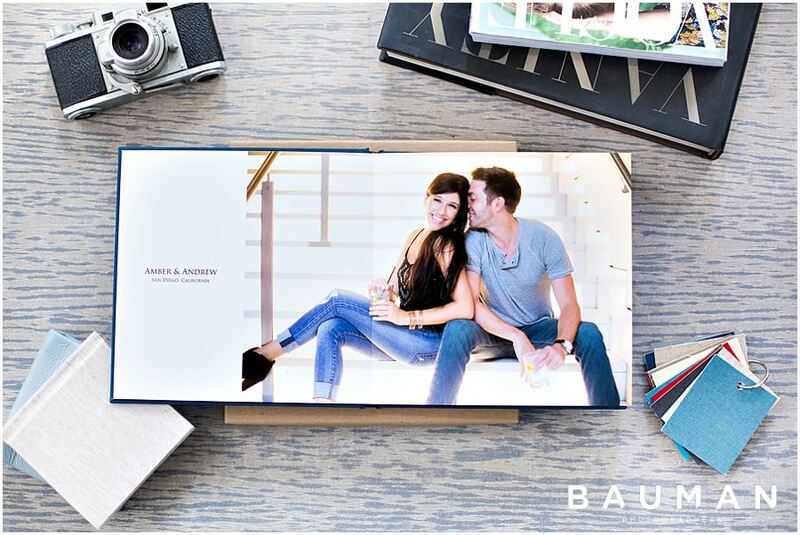 In our studio, we believe your epic love stories are worth telling – and worth preserving – from start to finish! 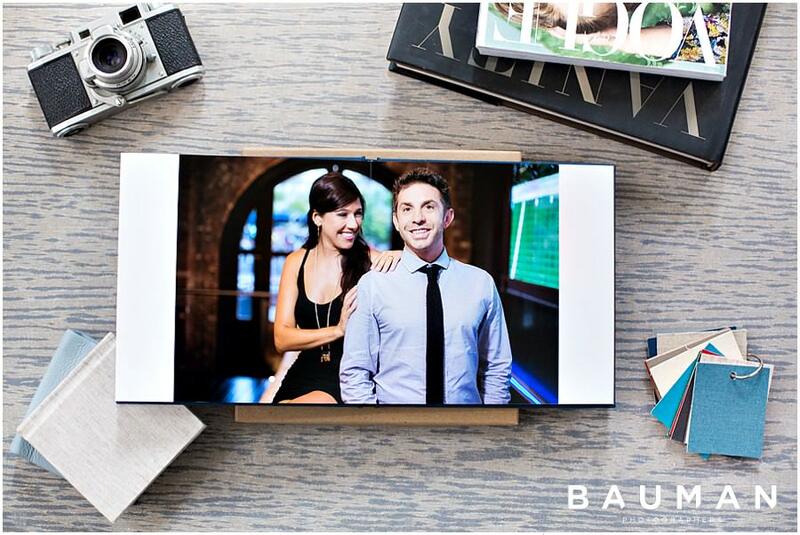 Which is why we love to photograph our couples in their natural habitats – strutting in your favorite heels and wearing your favorite watch, flirting as you walk to your favorite downtown hotspot. 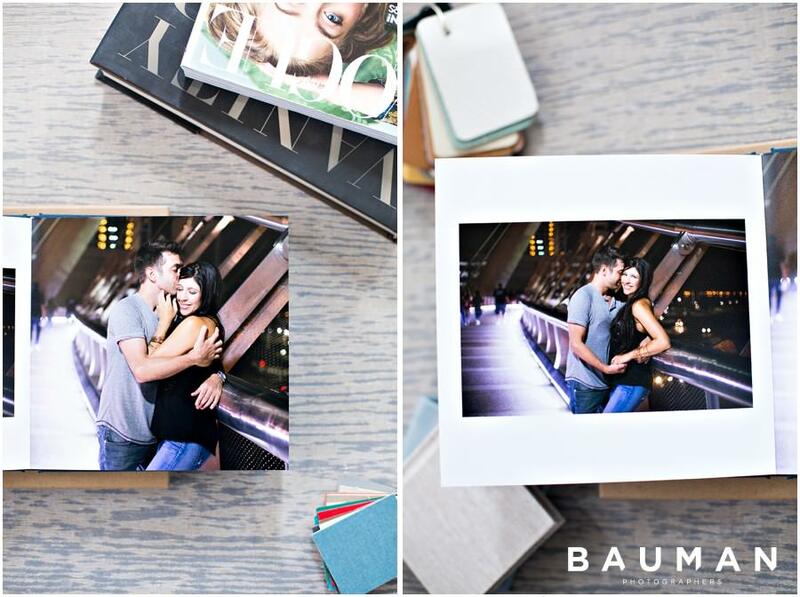 This is why we LOVE engagement sessions with our fabulous couples! 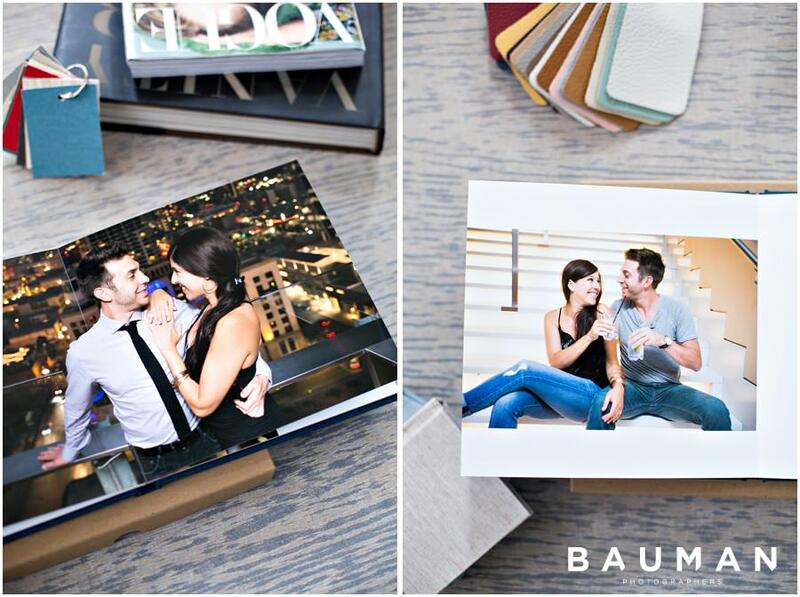 It’s no secret here at Bauman Photographers that we deeply believe the best way to enjoy your images is with high quality prints and albums. You already know that we love our gorgeous leather wedding albums, so we are SUPER excited to announce our lovely Linen Engagement Albums! 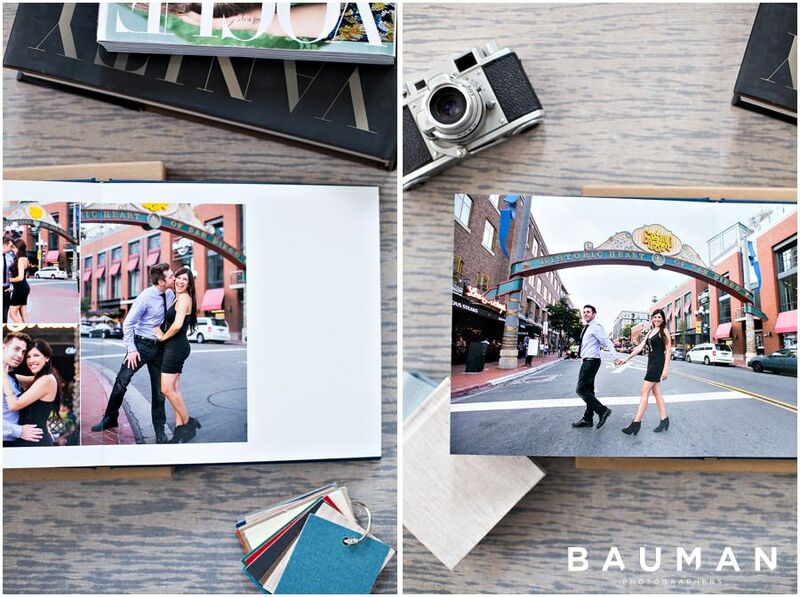 Available in either an 8×8″ or 10×10″ size, our couples LOVE these linen albums – the pages are thin and lay flat, but are still photographic paper, so the images are rich in color and detail! We design them with your favorite images, and can custom-design them to be used as the perfect Guest Book at your wedding. 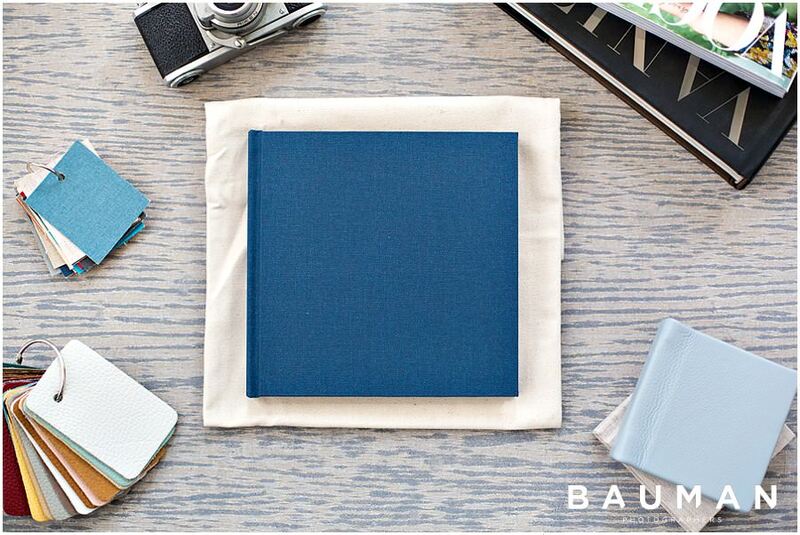 Below is our 8×8″ Linen Album in cover color ‘Navy.’ Isn’t this couple incredible?